I interviewed Francy M who arrived from Columbia seven months ago. The majority of the interview was conducted in Spanish because she is still learning English. Francy started studying English in her home country in high school, but she says it was just a little. She knows she needs to learn to speak and understand English if she hopes to work in the U.S. so she made that her primary goal when she arrived here. When I asked what the main challenges are to learning English, Francy – a native Spanish speaker – replied that the writing is very different. “Words are not written as they are pronounced like in Spanish.” Also, she has to translate in her mind to be able to say what she wants to say and then many times she just does not have the English words to express what she is thinking. When Francy first got here, she enrolled in a private institute in the East San Jose area that was recommended by a friend. Perhaps if she had known more about American culture, she would have been suspect that the name of the school was in Spanish. If she had done her due diligence, she would have noticed that there are no reviews for it online, nor was there much information. She enrolled and began taking classes and quickly realized it “was a waste of time” because the English class was conducted mainly in Spanish. She also noticed that her friend who recommended it has lived here six years and still does not speak English. If Francy had known about Habla Language Services, she could have found a great, small English class right away, and could have gotten on the right track to learning English. As it was, Francy sought out a community college. Because her goal was to learn English quickly and to be immersed, she did not pick the one closest to her home. She chose Evergreen Valley College because there are not as many Hispanic students there and she wants to be forced to speak English rather than her native tongue. She is satisfied with her decision to use a community college, but it is good to keep in mind, that the U.S. offers a variety of ways to learn English. When a community college is not the right choice for you, consider the other options available. If you are new to the U.S. or have been here a while, but feel you need to improve your English, there are different ways you can go about doing this. 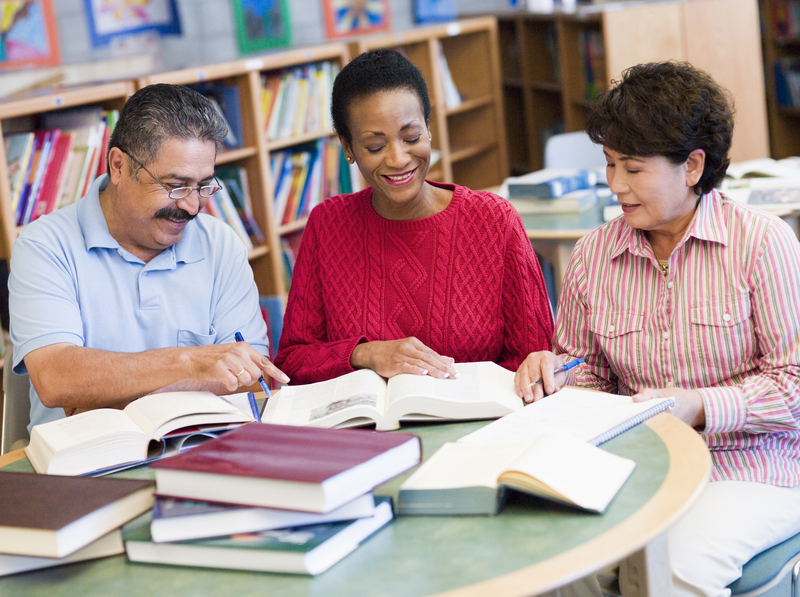 Community College ESL Classes: You can take ESL classes through a community college. Those don’t start at the beginner level, but may be appropriate for someone who knows some English and wants to start training for a career or getting college credits. If obtaining college credits is not part of your goal, but you have other aspirations such as improving your English to obtain a job or perform your current job better, you may want to consider a qualified coach, teacher, or small group option. Contact us at Habla Language Services. Government Subsidized ESL Classes: The government offers subsidized ESL (English as a Second Language) classes usually available through the Adult Education Program at various high school districts. But, due to budget slashing, those programs are a challenge to get into. The other drawback is that there are usually 30+ students in a class and you are forced to go at the pace of some students who may be slower than you. Or, conversely, you may be confused and may not have all of your questions answered. You Tube: There are videos on YouTube that are helpful. You can search for “How kids learn English” on YouTube and look for children’s songs as well as popular songs that include lyrics such as Fool’s Garden’s Lemon Tree. ESL Websites: Another resource on the web are ESL videos put out by the Sacramento County Office of Education. They can be found at The California Distance Learning Project: http://cdlponline.org/. If you click on OTHER LEARNING WEBSITES, you will be directed to many more free websites for learning English which include video, audio, and written scripts. Small Group Instruction: Small group instruction is a very powerful way to learn a language if done right. If the instructor is experienced, s/he can customize the curriculum to your needs and goals. Students learn from one another and do not feel alone in the challenging process of making sense of a new grammar and way of speaking. If you are looking to learn English and have found that the mainstream programs do not fit your schedule or needs, consider a professional trainer or small group instruction at Habla Language Services. This entry was posted in Language Education & News. Bookmark the permalink.